This was a most welcome outing after the worst snowstorm in a decade had kept us unwillingly house-bound and absent from our emergent gardens. There were 28 of us, all volunteer gardeners from the region’s museums travelling to Sudbury from our different locations. On arriving at this historic and delightful house, the atmosphere was warm and inviting and worth every mile of the long trek through the cold grey skies of East Anglia. The view onto the garden below was enticing but our attention was quickly captured by the start of proceedings and anticipation of the unknown. 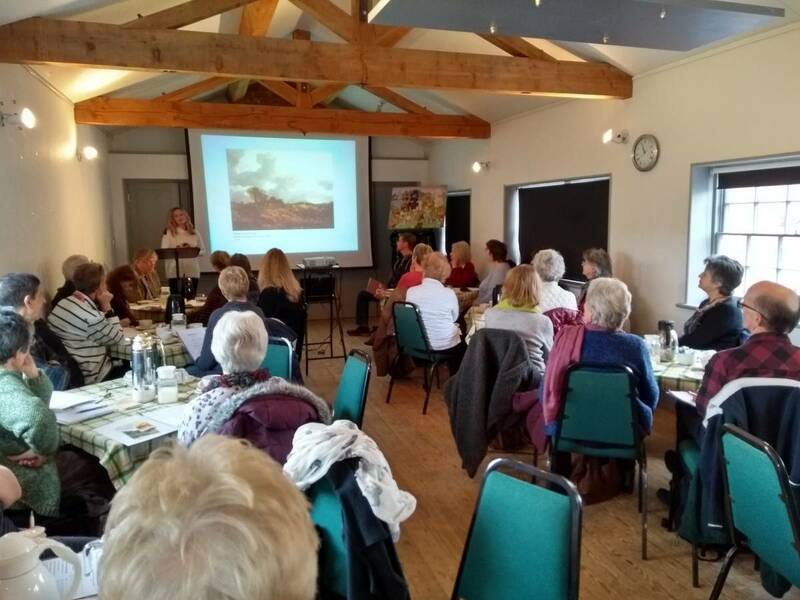 With immaculate time-keeping skills, the invited speakers took us on a journey through the paintings and Iris collections of Cedric Morris, enchantingly secret gardens of East Anglia and the enduring story of our orchards, faded but not lost, due to the painstaking work of Orchards East. Highlights of the day were the 400 year-old Mulberry Tree, centrepiece of the Museum’s walled garden, the historic beauty of the House and its contents, the enthusiasm, knowledge and dedication of the contributors, the seed swap and the excellent planning and organisation which had gone into making the day such a success; and last but not least the most welcome and enjoyable lunch and refreshments.